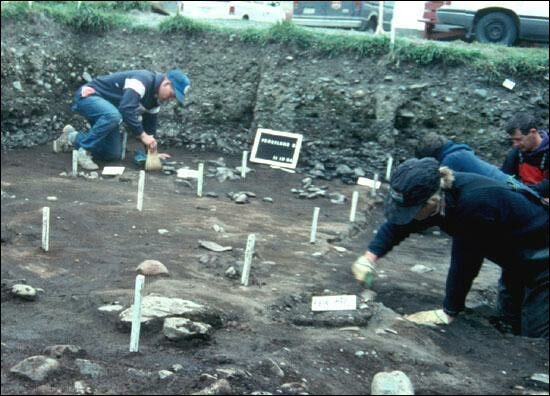 The now-extinct Beothuk may have been the first people to occupy Ferryland. Shown below under excavation is a portion of the original beach as it was in the early 1500s. The beach is of fine sand, so all of the larger rocks were brought there by the first people at Ferryland. 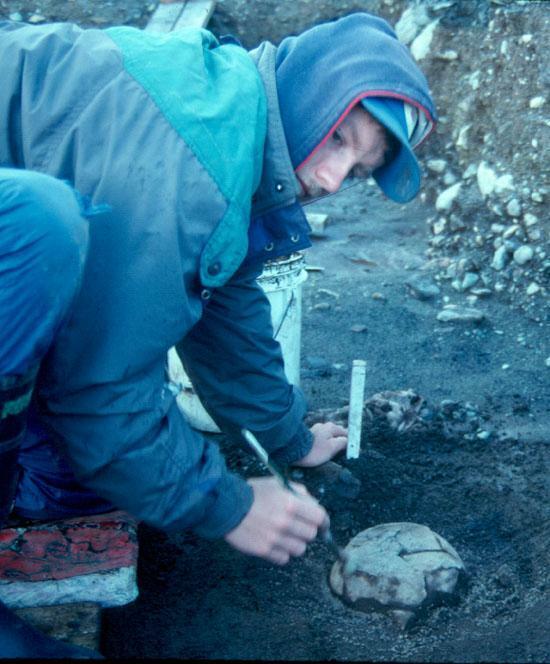 The rocks are arranged in roughly circular concentrations mixed with charcoal, burned bone and other carbonized vegetable remains. The following image shows one of the small hearths composed of shattered beach cobbles surrounded by a rich organic deposit of soil, charcoal, bits of burned bone, seeds and other plant parts. 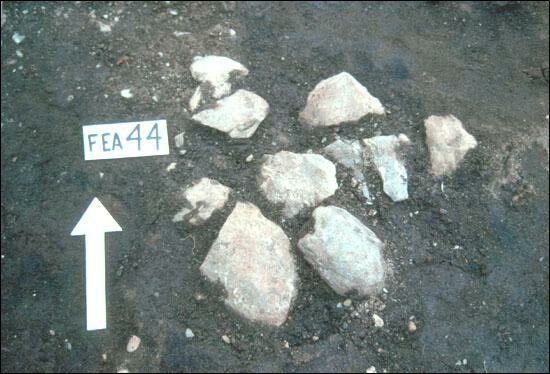 Some of the Beothuk stone tools are shown below. The small stemmed objects are arrow points. The others may have served as knives. The hearths also contained bits of burned bone, the remains of long-ago meals. The bones include those of birds and small mammals but not enough remains to estimate accurately the season of occupation. Burned material in the hearths also included spruce and fir needles and the seeds of grapes. Since the latter have never grown wild in Newfoundland, they must have been obtained from Europeans, in the form of wine or raisins. This brings to mind the possibility of face-to-face contact between the two peoples, but does not indicate positively that such contact took place. 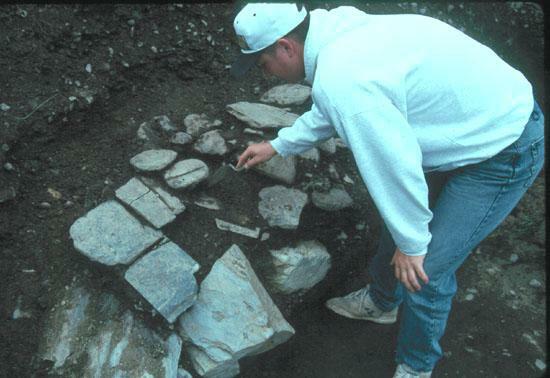 In the same early layer as the Beothuk hearths was this stone fireplace. In contrast to the rather amorphous Native hearths, it is made from slabs of locally-available slate, is rectangular in form and was built partly into the hillside to the south. It is clearly European in origin and may have been part of a cook room for the early 16th-century migratory fishery. 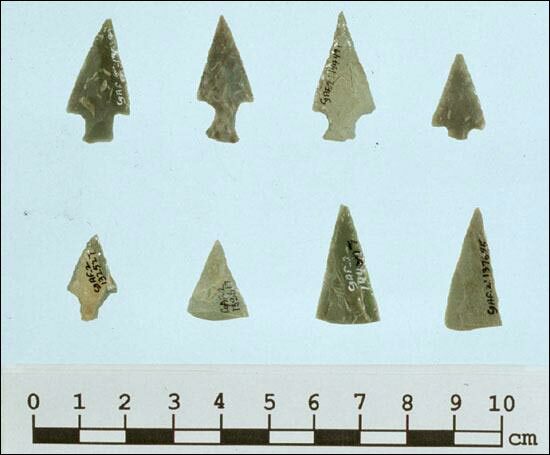 The sand in the lowest occupation levels contained European as well as Native Artifacts. Ceramics were most commonly found. Shown below is the base of a cooking pot being excavated. The pots are made from a clay containing noticeable amounts of mica. The flat rims of similar vessels shown in the image below are inverted and bear the impressions of what appear to be cords. Some authorities suggest that they may be Norman or Breton in origin. Fishermen from these regions are known to have been in eastern Newfoundland in the early 1500s. 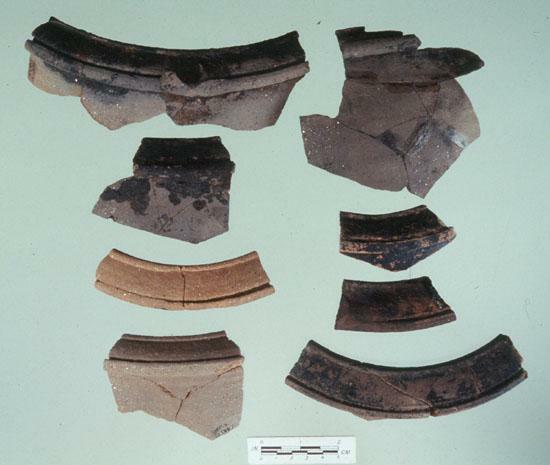 Other ceramics lost or discarded by the first Europeans to visit Ferryland include examples of Merida-ware from Portugal. Also found was a small pitcher, probably made in Saintonge, France. The latter is identical to examples found at a 16th-century Basque whaling port at Red Bay, Labrador. 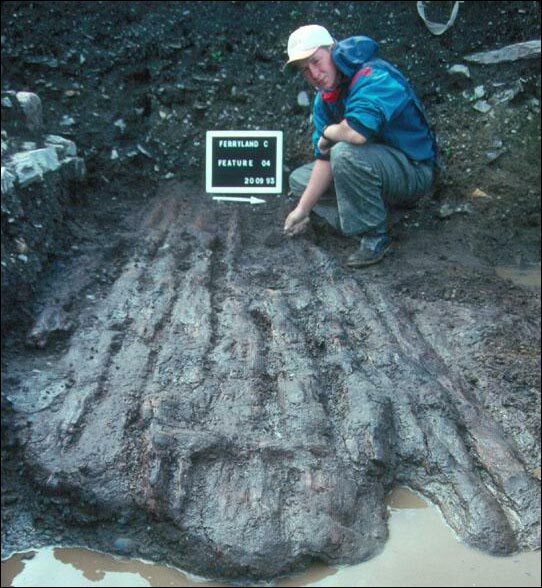 At the very lowest levels of the waterfront area, in layers that were once part of the harbour bottom, were found the waterlogged remains of a series of stout wooden poles. They were part of a wharf or stage built and used by migratory fishermen during the 16th century. 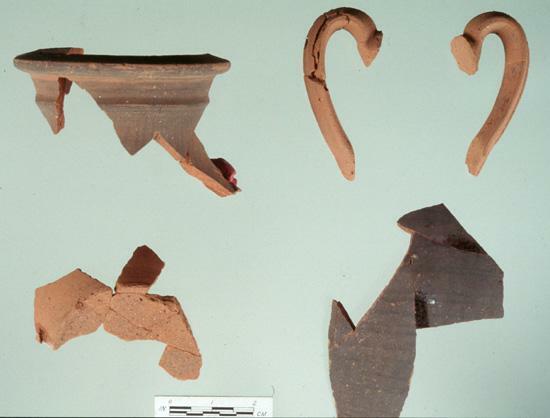 Artifacts found in the same layer as the collapsed stage or wharf include the bowls and stems of tobacco pipes characteristic of the late 16th and early 17th centuries. 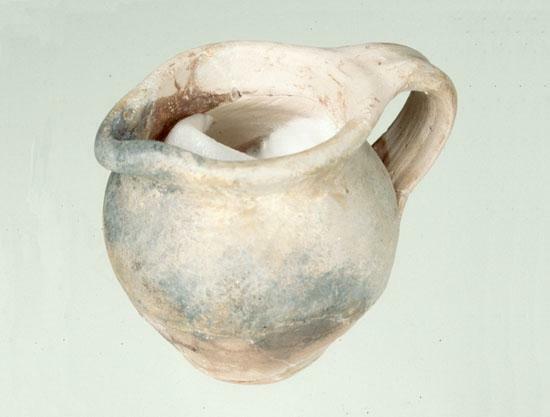 The ceramic jar is a "tall pot" found associated with the tobacco pipes. 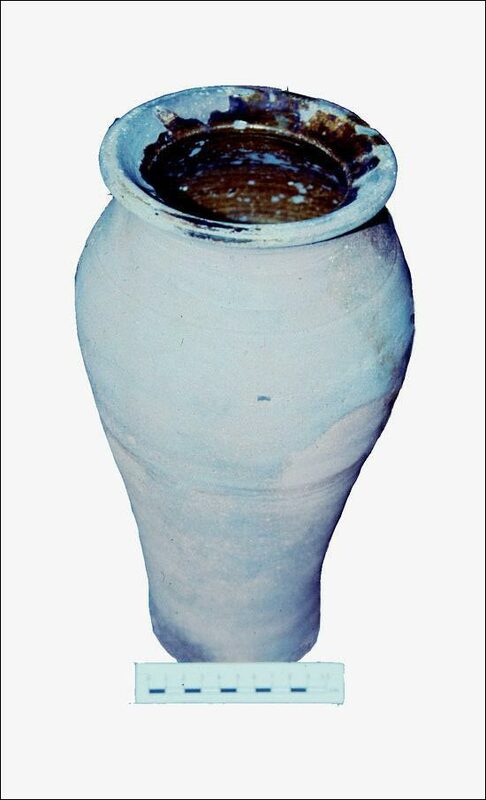 This ceramic jar also found at the collapsed stage layer is a "tall pot" found associated with the tobacco pipes. 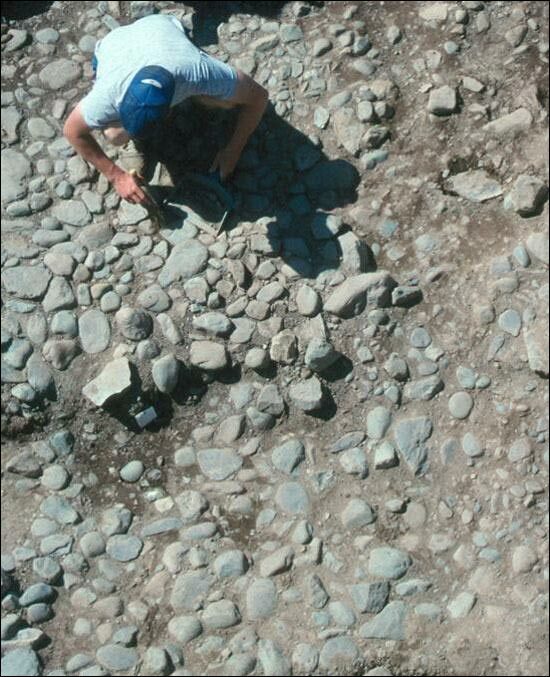 Above the earliest layers, but below those of the Colony of Avalon was found this rough stone pavement. It does not appear to have been a walkway, but was probably a platform upon which fish were dried. 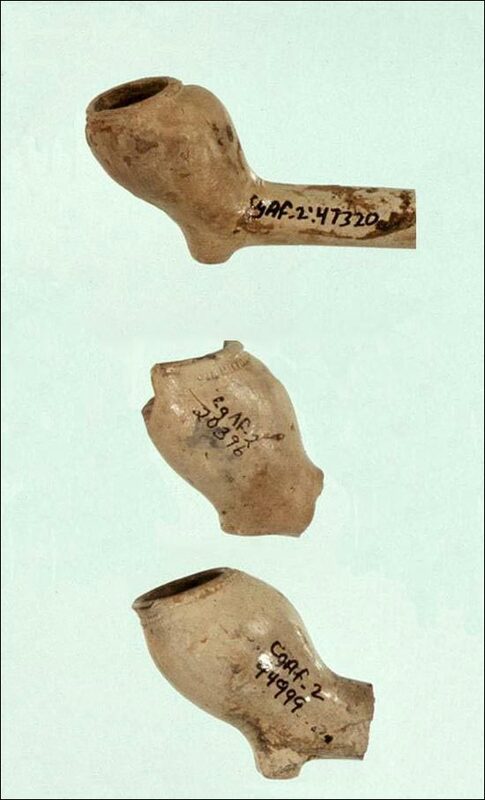 Directly upon the pavement were found sherds of pottery originating from North Devon; the complete absence of tobacco pipes suggests a date prior to about 1580, when smoking pipes first appear on English sites in North America.